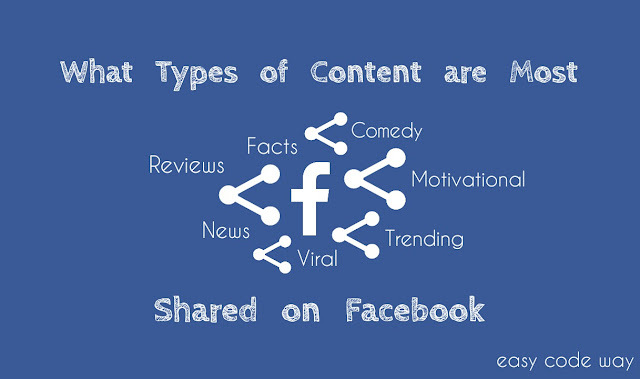 What Types of Content are Most Shared on Facebook? You might be sharing tons of posts on your Facebook page from images to videos to links but did they actually get noticed? Most probably, your answer will be no. Well this is not your fault but you can maximize the efforts to increase your post shares and for that, It is very important to know that which type of content get maximum shares. Choosing the right type of content can boost up your post organic reach. This in turn will also increase your page likes and user engagement. Moreover, your post can go viral if it is worth sharing for other people. After reading this tutorial, you will get rough idea on what types of content to choose in order to get maximum number of shares on your Facebook posts. What content people actually loves? These are some of the interesting things which are loved by all category people. It's good to target them. Trending is something which is popular at present. It can be anything like news, product launch, movies etc., What I had observed is that, trending topics get maximum number of shares on Facebook and on Twitter as well. Even the links (which have very less organic reach on Facebook) can get maximum shares if it is trending. Now you may be wondering that how one can find these trending topic. It's very easy. Twitter and Facebook are the best platform to find them. You can also use Google search engine. First of all, collect all keywords related to your niche and then search them with hashtag. For example, If I will search "#Android" on Google, it will show all trending search results from where you can choose more specific topics. Many people loves motivational quotes. You can find thousands of images on Google. I usually copy tweets from David Roads twitter account. 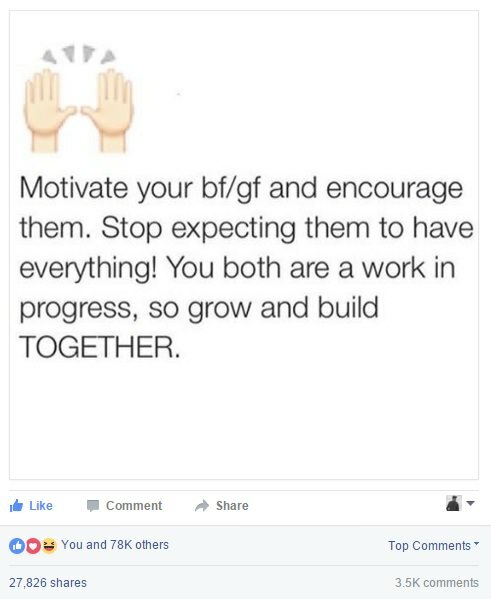 Another popular name on Facebook is Daniel Amos which has 10M+ likes on his page now and he usually share motivational and inspirational content. Who don't love comedy videos? Undoubtedly, funny stuff can be shared by anyone. If you'll look at the top 3 individual YouTubers from India, they usually create such videos. On the other hand, there are many people on Facebook who are now recognized by there funny videos. This includes Zaid AliT, Umair Khaliq, Bhuvan Bam and many more. Check out their Facebook page and you'll find how many shares they actually get on their posts. 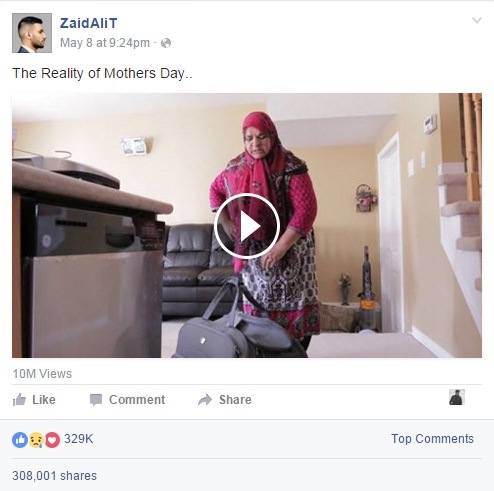 As you can see in below picture, Zaid has posted a video on Mothers Day (which is trending topic at that time) and surprisingly. he got 300K+ shares with 10M views. Fact is another interesting thing which is loved by many people. You can create facts, funny memes or do you know type images or videos. But it should be related to your niche. For example, If you run a business page for your website, then sharing a funny video will be pointless. Share what your followers wants from you, not what you loves. 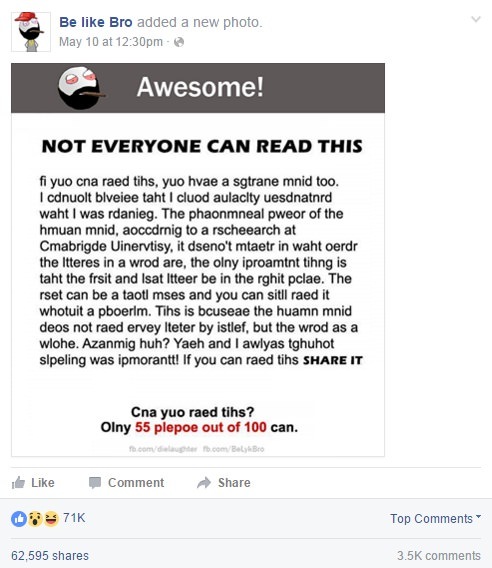 As you can see in below picture, this post is something different or you can say unique and it has been shared by 62k+ people. If you've tech related page, you can share latest news, reviews and success stories to gain more people attention. This is what Tech Crunch and YourStory like popular websites do on their Facebook pages. Visit them and follow their strategy. These are some of the most important things which you should keep in mind while creating a new content for your Facebook page. Type of post means whether the post is image, video, link or status only. As much as I know, Facebook show images at the top of news feed. Second position goes to status or videos and last priority is given to links. On the other hand, videos are more long, thus loads more fun for people and there is some curious part to watch the full video. The chances of shares are increased in this case. It should be noted that, it is the video which goes viral and viral is all about how much it is shared by other people. Before creating a new content, choose the right type of post for it. For daily use, you can create images and if you have video editing tool, you can make short videos as well. If you write content on your blog/website, then attach an image with the link while posting it on your Facebook page. You can also use og meta tags to show link previews. Content is what represents you. If it is good, definitely people will like and share it. Add values in your content. People also believe in facts. So If you're writing something different, make sure to give depth information about it. Before posting anything, ask yourself that it is easily shareable or not. If your answer is yes, then go ahead and post it. Last but not least, you can target specific audience. For example, by creating a post on your nation, you can target all people living in that particular country and it's for sure that they will share your post. This strategy is used by Indian media (LOL). You can post about religion or caste as well. Note that, I am not saying to abuse anyone but if you'll target them with positive attitude, you'll definitely get some positive response. Another important thing is that, don't go out of your niche. For example, If you've tech related page, share about things which are popular in technology category. Posting other things will definitely drop the interest of your followers. So stick to your primary topics only. By keeping these little things in your mind, you can create tons of awesome posts for your Facebook page and they will surely get maximum shares, thus improve your page user engagement. In my upcoming tutorial, I will reveal some secrets on how to create a shareable content. You can share your personal views in comment box.